Even though I had my doubts about Citizen’s Bank Park when it opened in 2004 and still suspect that subsidized sports arenas are not a good use of public resources, I’ve grown to love Philadelphia’s baseball stadium. 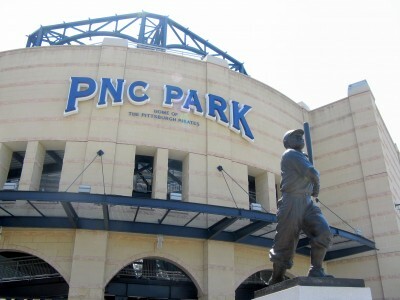 On Independence Day, the family had a chance to see the Phillies in another outstanding facility: Pittsburgh’s PNC Park. How do Pennsylvania’s Major League baseball stadiums compare? Let’s start with location. It’s hard to look at this view of Pittsburgh and not think that Philly missed a downtown and/or waterfront opportunity. 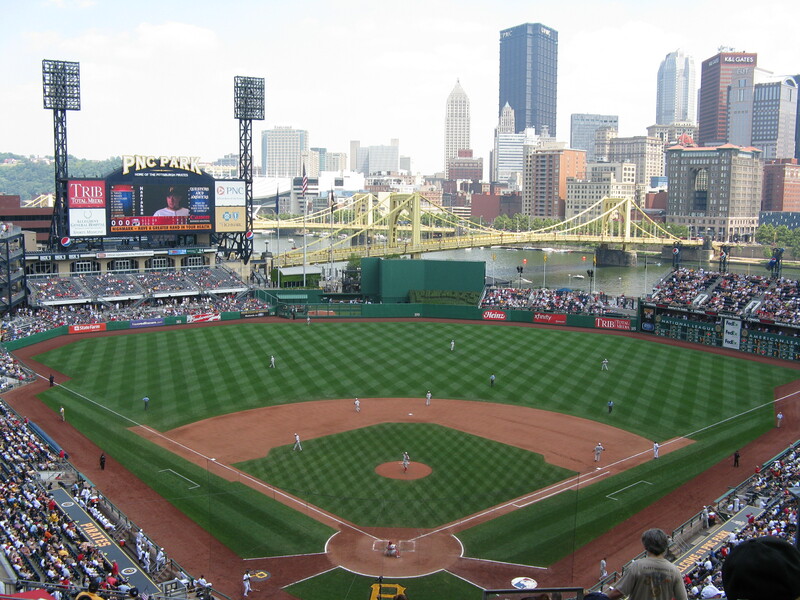 From almost everywhere in PNC Park, fans get a fantastic view of Pittsburgh’s skyline and many bridges. 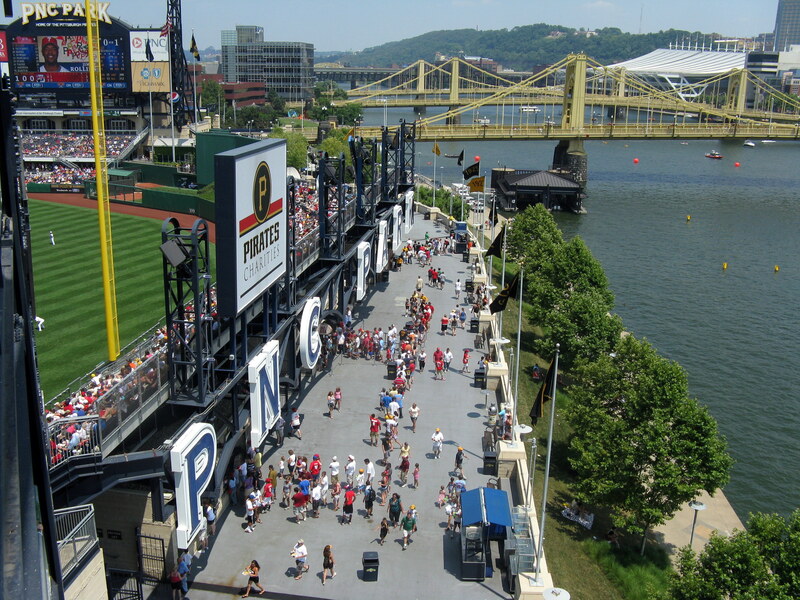 The playground, the picnic area, and many of the concessions stands face the Allegheny River. The Sixth Street Bridge (Roberto Clemente Bridge) closes to traffic on game days, and pedestrians can walk right across it and into the stadium. My only complaint about the stadium itself is its lack of field views from the upper concourses, which of course is one of Citizens Bank Park’s triumphs. Everything else is gorgeous. I’m not familiar enough with Pittsburgh to comment on the bars and restaurants surrounding the ballpark, but at least there *are* bars and restaurants surrounding the ballpark. 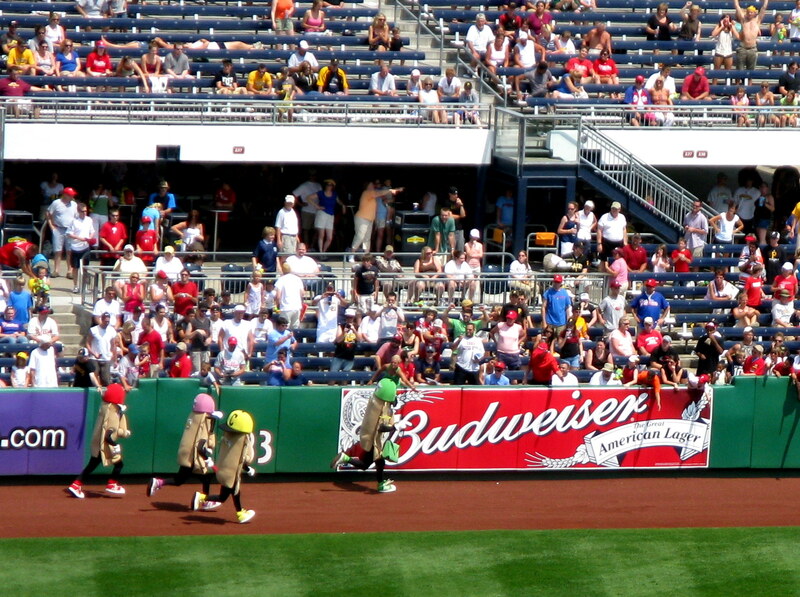 However, Philly has an edge over Pittsburgh when it comes to food inside the stadium. Disclaimer: I’m on the two-leg-or-less eating plan, so availability of vegetarian fare and poultry are important factors. 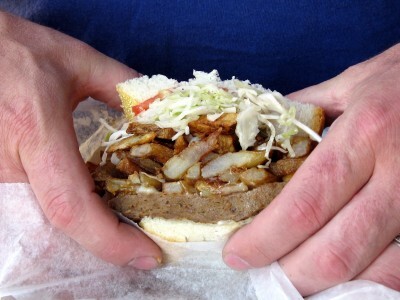 My brother enjoyed his “cheesesteak” from Primanti Brothers, but the menu at their PNC Park outpost is limited. No poultry. Manny’s BBQ smelled delicious, but he doesn’t offer any turkey. Score one for Philly’s Bull’s BBQ. Outside of Primanti’s, Manny’s, and the stand serving Mrs. T’s pierogis, there didn’t seem to be many unique food options in Pittsburgh. Nothing like CBP’s Campo’s, Planet Hoagie, Tony Luke’s, Bull’s BBQ, the Schmitter, and Chickie’s & Pete’s. Aramark should consider replacing some of PNC Park’s Nacho Express stands with Polish church ladies cooking *real* pierogies. Citizens at both ends of our fair state can be happy with their stadium beer selections, but unlike the Philadelphia fans, Pittsburgh folks will have to put their $7 suds on the floor because there are no cup holders in the cheap seats. On the other hand, Philadelphia fans will pay twice as much for their tickets, so it’s a trade-off. Summary: Pittsburgh has a location and aesthetic edge, and Philly wins for food. I give more weight to aesthetics, however, since you can work around food limitations by bringing your own or eating before the game. Sorry, Citizen’s Bank Park—I love you, but we put you too far from our downtown and our waterfront.